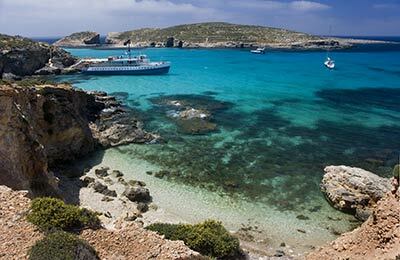 Book a ferry to Malta with AFerry. Ferries to Malta, in Malta, are available from Italy and Sicily. You can take a ferry to Malta from Catania, Pozzallo and Salerno. Ferries to and from Malta are operated by Grimaldi Lines, Tirrenia di Navigazione and Virtu Ferries. Because 3 ferry companies operate in and out of Malta, comparing can be very useful to help you find the best price at the best time for you. When you search for a ferry to Malta, we will always show a range of times just in case it's cheaper earlier or later than the time you select. Malta ferries with Grimaldi Lines, Tirrenia di Navigazione and Virtu Ferries are known for their comfort and high levels of service, and you will feel like your holiday has begun the moment you step on board. Travelling to Malta will be easy and hassle free. Start by making your booking today, it's quick and easy. Malta is a beautiful island in the Mediterranean Sea just south of Sicily. Malta has always been strategically important due to its position in the Mediterranean sea and was was conquered by several powerful people. 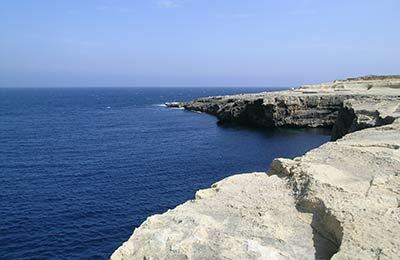 Malta's beauty, history and sandy beaches will simply enthral you. There are lots to do and visit on the island including Fort Rinella, Hypogeum of Ħal-Saflieni, the Megalithic Temples, Valletta water front, scuba diving and of course relaxing on the gorgeous beach!